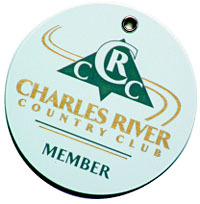 The professional image of your club is enhanced by providing members, guests and tournament contestants with a well-designed and colorful symbol of their participation. 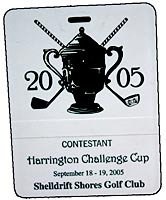 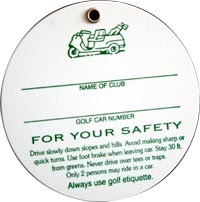 A golf bag tag represents your club wherever it is carried. 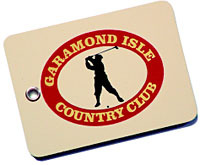 The representation of your club logo on a tag conveys an aura of quality and will be displayed with pride.